Home › Electronics › Trendwoo Super Bass Portable Wireless Bluetooth Stereo Speaker With Built-In ..
Trendwoo Super Bass Portable Wireless Bluetooth Stereo Speaker With Built-In .. BEAT IT is a compact Bluetooth speaker that can be wirelessly connected to Bluetooth devices such as smart phones, tablets and computers to playback any music collection stored on them. 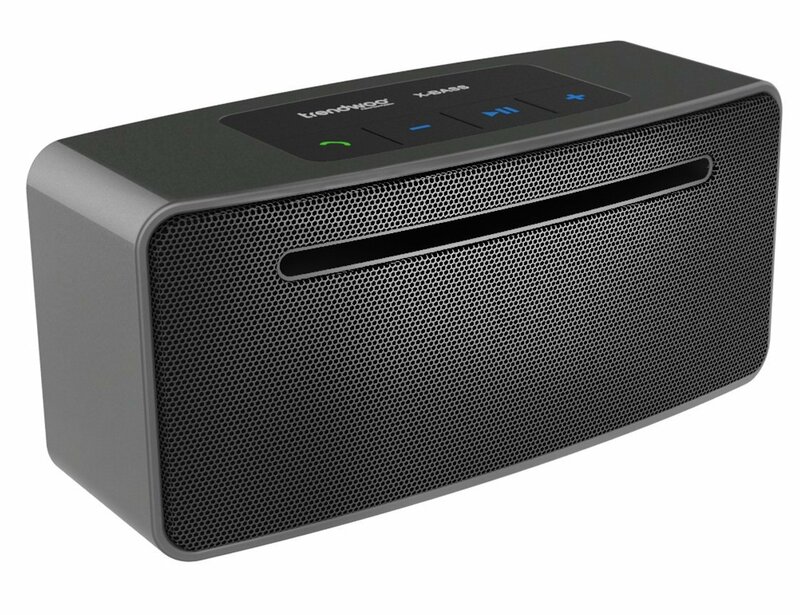 It can be used as a wireless speakerphone. Moreover, you can listen and talk a call through your BEAT IT speaker. Thanks to its powerful battery, the system delivers full stereo sound, X-BASS sound, separate from any mains supply, for up to 3-6 hours and is the perfect companion for the park, whilst camping or on the beach. Process control, can get rid of complicated connections and wiring distance constraints, the user can enjoy high quality music. Advanced Bluetooth 4.0+EDR version so that the pairing process could be faster. Make your connection go smoothly.